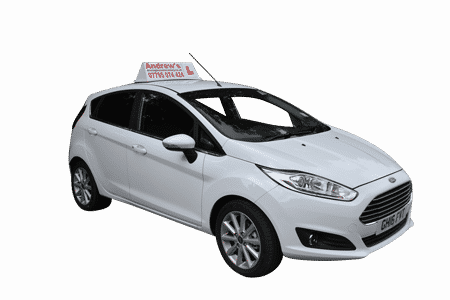 Andrew is in a silver Ford Fiesta doing driving lessons around Abergele and Colwyn Bay. Naz is based in Colwyn Bay and covers both the Rhyl and Bangor Driving Test centres. Naz currently uses a Maroon Renault Clio with all the latest gadgets. Naz specialises in intensive courses and getting you up to standard and passing your driving test fast. Marcus is based in Llandudno Junction and covers from Rhyl through to Bangor and drives a Ford Focus in gun metal grey which is fully kitted out with all of the latest gadgets such as built in sat nav . Marcus is also a fully qualified Ordit registered driving instructor trainer. Neil is based near Menai Bridge and covers Bangor and Anglesey. Neil drives a fantastic new style 4 door Mini. Rob is based near Chester and covers Chester, Ellesmere port, Neston and Heswall. Rob has a great knowledge of the local area and drives a white Fiesta. Contact rob for your driving lessons in Chester. Paul trained with Andrew’s Driving School and is Based in Glan Conwy and covers Penmaenmawr, the Conwy Valley through to Abergele.Paul is teaching people to drive in the latest model Ford Focus Titanium in the Llandudno and Conwy areas. Ted is based in the Denbigh area and covers Rhyl, Prestatyn Denbigh and Ruthin. Look out for Ted in the white ford Fiesta. Dewi is based in the Colwyn Bay area covers Llandudno, Colwyn Bay and Old Colwyn. Look out for Dewi in the Blue Ford Focus fully equipped with all the latest features. Dewi is also a fluent Welsh speaker. Tomas covers the North Wales Coast and with a Ford Fiesta with full panoramic roof you can have your driving lessons in the sunshine. Looking for a change of career, train how to be a driving instructor with us. Looking for a better franchise deal, Give us the opportunity to prove ourselves with our 2 week free trial. When calling the Instructors you may be put through to voicemail but if you leave your name and contact number we will call you back as soon as is possible. You can contact us by phone, text or email, our email address is enquiries@andrewsdriving.com. Naz is based in Rhos on Sea and covers Llandudno, Colwyn Bay and Conwy Areas, Naz also specialises in intensive driving courses. Marcus is based in Llandudno Junction covering the North Wales coast from Abergele through to Penmaenmawr. Andrew is based in Abergele and covers Abergele, Colwyn Bay and Llandudno. Paul is based in Glan Conwy and covers most of the Conwy Valley, conwy, Llandudno and Colwyn Bay. Caroline is based in the Rhyl Area and covers Rhyl and Prestatyn. Ted is based in Ruthin and covers between Ruthin, Denbigh and Rhyl.